This will not be like my usual posts. This is more of a personal update. When I started this blog, I wanted everything to be positive so I never wanted to talk about my struggle with depression. Now, I see how stupid that plan was because it isn’t easy to stay positive on a blog when everything in your head is negative. Ignoring it didn’t help so I just ended up avoiding work altogether. I would like this to change. Addressing my depression isn’t about being positive or negative, it is about getting the reality of my illness into the open. And it is an illness. Some days I feel okay, I can get stuff done, I can cook, clean, and work until ridiculous hours of the morning. But then there are the bad days. The days where I can barely move, I can’t get out of bed, I can’t even begin to think about anything. For a while there, a little over a month, things were pretty good. I thought maybe the depression was starting to go away since I was doing so much work and had so much motivation. But I was wrong. Since my last blog post, I have sat at this computer most every day trying to find motivation to write or draw or something; anything that I could put on here because I love this blog and I desperately want to keep it going so it can improve and grow. So the question for me to figure out is what do I do now? I really don’t know. Maybe I will do more updates. I could talk more about personal stuff, more about the good and bad days of depression. This is temporary, I don’t know how long it will last but it will end. I have always been trying out different ways to relax and reduce stress and one of the things I tried is using essential oils. Believe it or not, aromatherapy can have a huge impact on your body and mind, affecting the way you think and feel. There are many ways in which to use essential oils, and many benefits you can receive from them. Make sure that any oils you use cosmetically are therapeutic grade, otherwise they may irritate your skin. How: To burn essential oils, you can get an oil burner or an oil diffuser (see links at the end of this post). Benefits: Easier breathing – reduces inflammations and congestion, improves cognitive function, freshen the room. 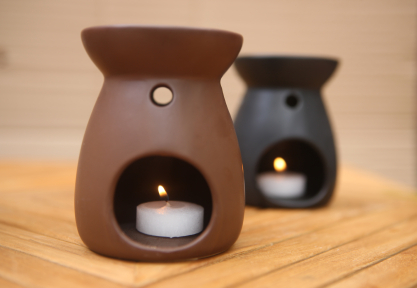 Oil diffusers and burners tend to be cheaper than candles, so you would be getting more for your money. Oils are also more potent than candles so you would be using a lot less, and the smell would fill the room more efficiently. How: Essential Oils and water into a glass spray bottle (there is a recipe in the links below, I will also be working on some of my own). Benefits: Simple and easy to make, it doesn’t require a ridiculous amount of extra chemicals. You can freshen up the room and decide what you want the room to smell like. There are no foreign chemicals that are dangerous to inhale, like a lot of other room sprays and air fresheners. How: Essential Oils with either an oil base, or an alcohol base. Into a glass spray-bottle. There is a recipe in the links but try to be adventurous and use different scents. Benefits: Much better for your skin. There aren’t any toxic ingredients that irritate your skin. It will smell a lot nicer and be your own personal scent. It is much, much cheaper than the fancy perfumes that usually don’t smell that nice anyway. How: You can mix different oils together, or use just one oil. Simply rub a few drops into your hair (on their own or with your shampoo/conditioner). Side note: Dr Bronner’s Castile Soap is very natural, with lots of essential oils. There are many scents to choose from (my favourites are green tea, citrus, and lavender, to name a few) or you can choose the plain one and add your own oils. You can use it on hair, skin, even to wash dishes. How: 75% solid carriers (coconut oil, shea butter, cocoa butter, etc.) with 25% liquid oils. There is a recipe in the link below with a method on how to make it. Benefits: Specific to your skin’s needs, with no irritating or toxic ingredients. How: Just rub oils into your skin. When you get a massage, ask the masseuse for a specific oil or bring your own blend. Benefits: You can target specific muscle and joint pains, certain oils decrease pain. Makes a massage more smooth and relaxing, and leaves your skin feeling soft and hydrated after. 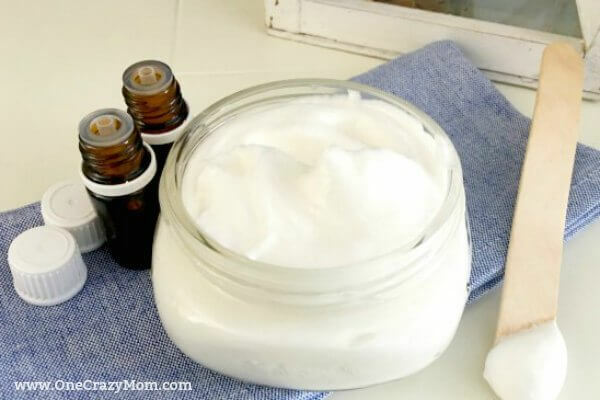 The added benefit to using homemade products is that you know that there is no animal products and no animal testing going into the things you use. Making any product you make vegan friendly. QOTD: What essential oils work best for you? How do you use it? Where do you buy it?